To play, classes watch highlights from the Bundesliga “Match of the Month” and answer questions in German related to the game’s outcome. The students then work together as a team to predict the outcomes of the next week’s games. The goal is to correctly predict as many outcomes as possible. 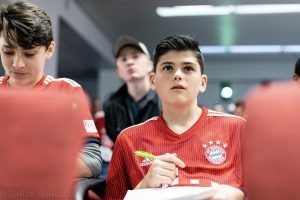 Representatives of the ten top teams in each region are invited to Bundesliga Festivals in San Francisco, Chicago, or Washington, DC, co-hosted by the Goethe-Institut and three world-famous German clubs: Bayern München, Borussia Dortmund, and Schalke 04. At the festival, participants compete for cool prizes in a series of contests that put their soccer expertise to the test. 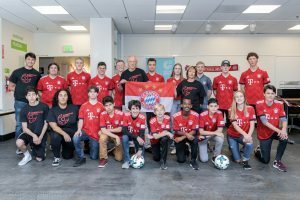 The grand prize winner in each region wins the trip of a lifetime to either Munich, Dortmund, or Gelsenkirchen to watch their favorite teams in action at a real Bundesliga game! This year’s festivals were held on March 22. 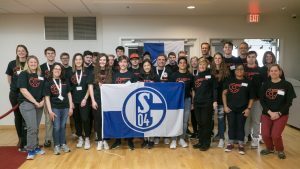 In San Francisco, students worked together on challenges that tested both their Bundesliga knowledge and put their ball handling skills to the test. At the end of the day, Delta High School in Delta, Utah came out on top. This spring, they’ll travel to Allianz Arena in Munich to watch the defending champions Bayern Munich as they seek their 7th straight Bundesliga title! 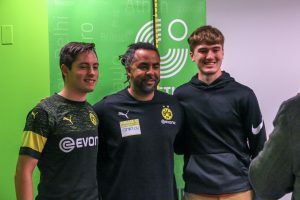 Representatives from the Central region met in Chicago, Illinois for a jam-packed day of soccer activities co-hosted by Borussia Dortmund. 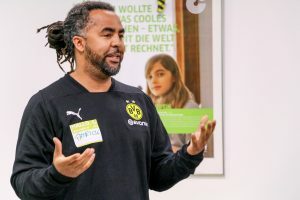 During the festivities, participants also had the opportunity to meet former Borussia Dortmund and German National Team player Patrick Owomoyela! The winning team from South Range High School in Canfield, Ohio, will be travelling to Dortmund to watch the Black and Yellows live! 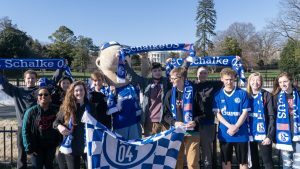 In Washington, DC, representatives of the top schools in the Eastern region went also head to head to decide who would punch their ticket to Gelsenkirchen to see Schalke 04 in action. Festival winners Emily and Guillem of Lassiter High School in Marietta, Georgia were excited to be in the stands with thousands of devoted fans. 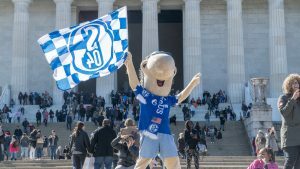 After the festivities, participants even had the chance to visit some historic DC sites with Erwin, Schalke’s lovable mascot! 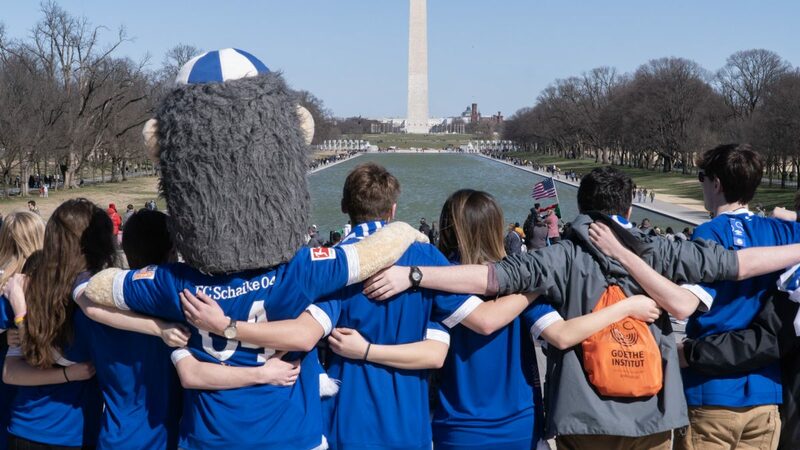 Whether you’re a soccer fanatic or still a rookie, German students from all over the US are welcome to compete in this annual event. To find out more about the contest and how your school can participate, click here! On Tuesday night, veteran Dallas Mavericks big man Dirk Nowitzki ended months of speculation and officially announced his retirement at an emotional ceremony. Next stop, Tuscaloosa! 300 visitors turned out at the Tuscaloosa tour stop of the WanderbUS, showing their excitement for all things German!